Well, we don't exactly have poinsettias, but we can create poinsettias with our stamps. It is very easy and fun. I just used one stamp to create mine. 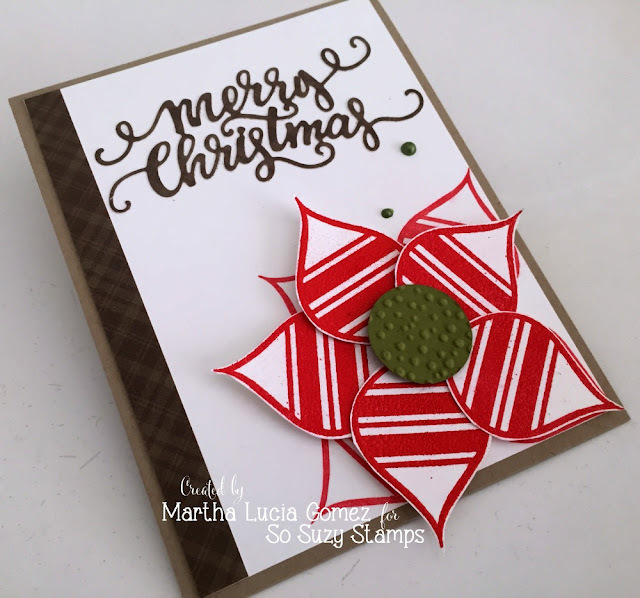 The stamp is Ornament Bulb Stripe and this month I wanted to use it in all my creations, so here it is in another version. 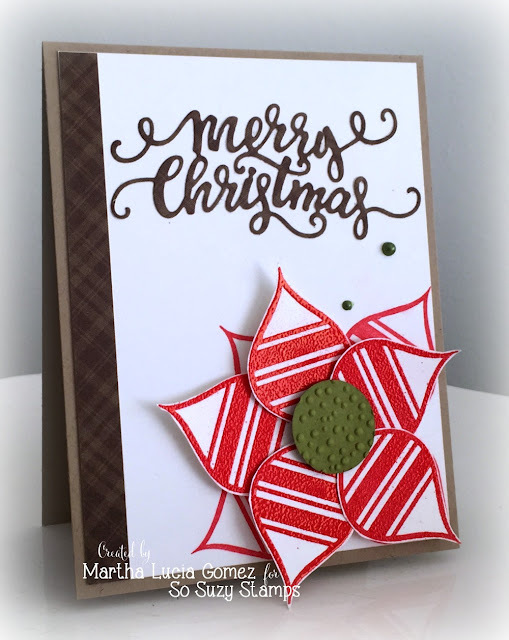 If you want to see, how I made this card I will wait for you HERE in my blog. But believe me don't let the stamps run out, this stamp it is gorgeous and you will use so many times.